Hold Alt/Option (⌥) while dragging to snap the clock time to 5-minute intervals. Hold Shift (⇧) while dragging to snap the countdown time to 5-minute intervals. 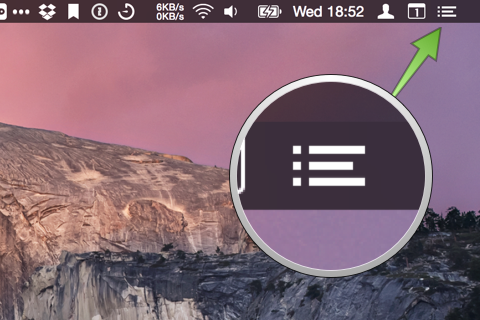 You can undo changes by using the default OS X shortcuts ⌘ + Z, and redo with ⌘ + ⇧ + Z. While you are still dragging you can drag back upwards to cancel your reminder. If you have the little description window open already then you can press ESC to cancel it. If the setting “Open Gestimer at login” doesn’t work then you can add Gestimer to the login items in System Preferences > Users & Groups > Login items. Use the little ‘+’-button or drag Gestimer from Finder (/Applications folder) to add Gestimer to the login items. 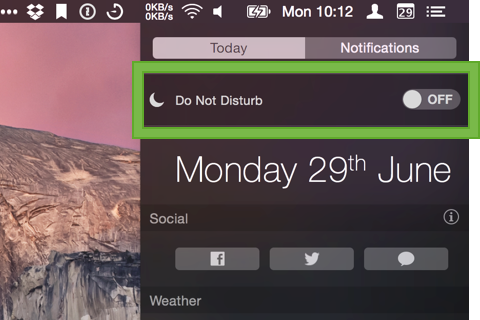 You might have Do Not Disturb enabled which is a feature that blocks all notifications. 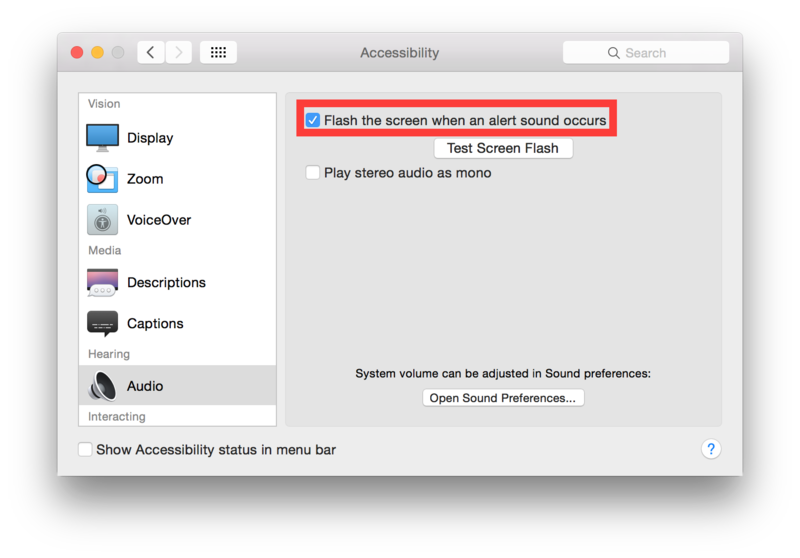 It can activate automatically, usually during late evenings and disables itself in the morning. 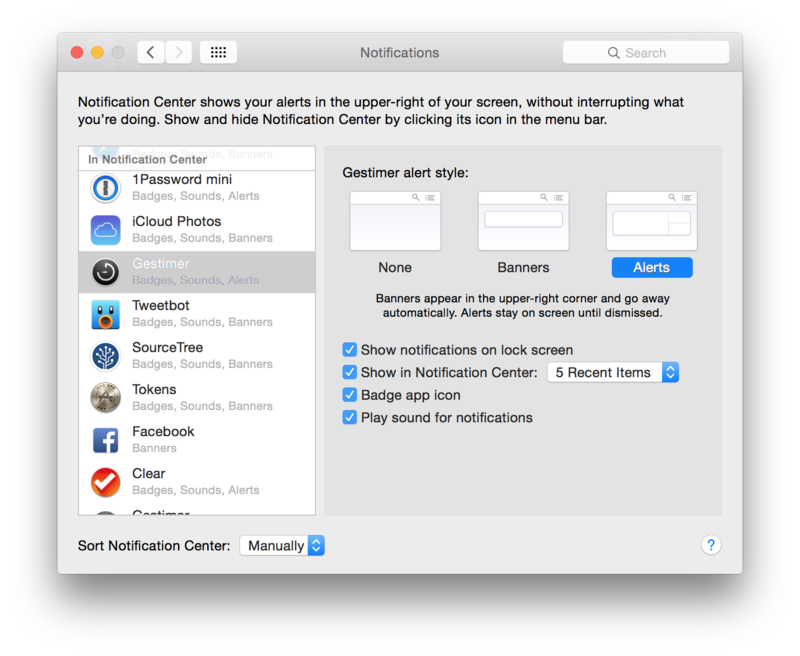 1) Click the most top right icon in the menu bar to bring up notification center. 2) Scroll upwards. This will reveal the Do Not Disturb switch. Disable Do Not Disturb. This change is only temporary – for permanent settings scroll down further. Why am I not hearing any sounds? 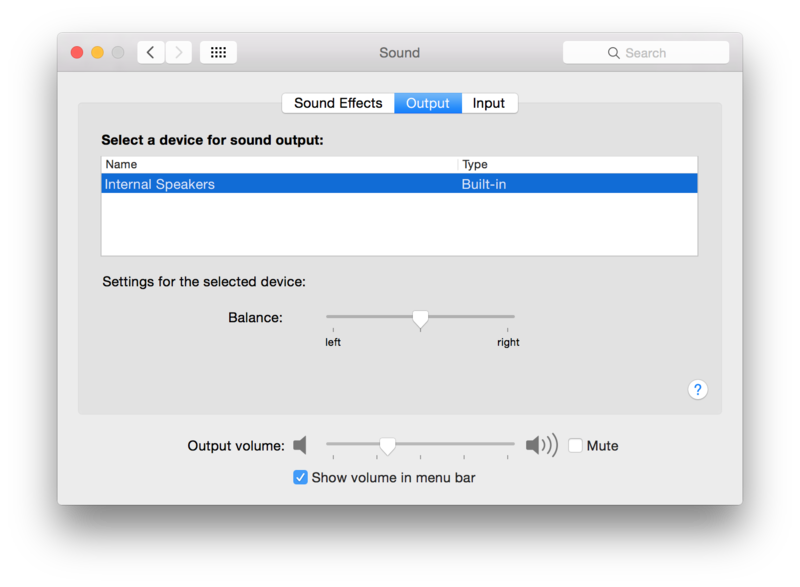 Check your settings in System Preferences > Sounds. 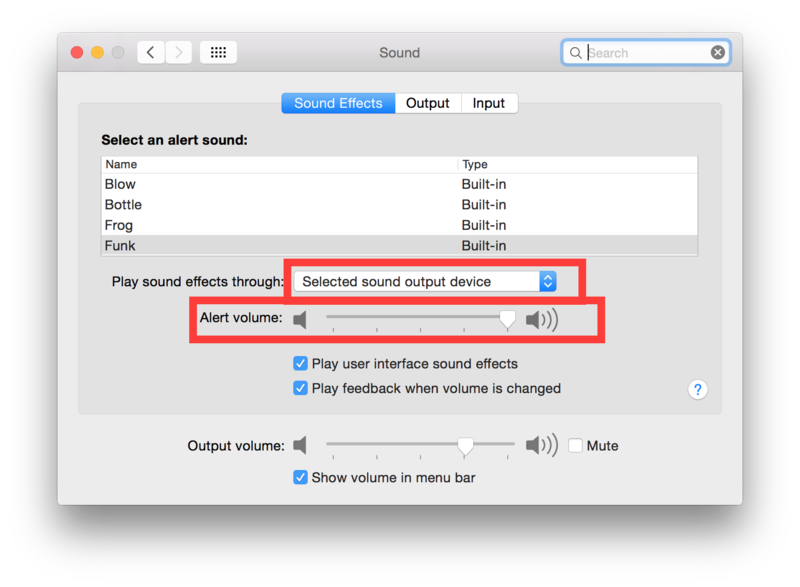 Your output device might be incorrect or your alert volume may be at a low setting. Why do my Reminders not synchronise to other devices? Reminders may take a few minutes to synchronize. Since the app writes to the Reminders database, Gestimer has no control over when reminders are synchronised. 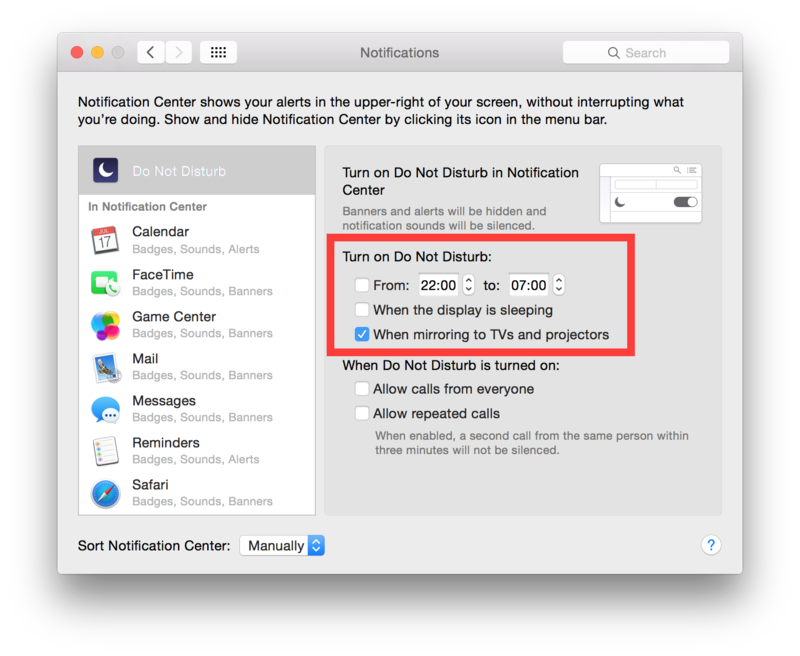 Double-check that you have the Sync using Reminders option enabled under Gestimer’s settings. Gestimer is for short-term reminders, things you want to quickly forget about, i.e. for reminders within the next 5–8 hours. Calendar or todo apps are better suited for tasks that occur in the longer-term. Additionally, increasing this limit would make it difficult to set accurate reminders. How do I edit the time of a reminder? Currently, you have to create a new reminder and delete the old one. A future update will allow you to edit an existing reminder. Editing reminders needs to be fun (just like the app itself) which is why implementing this takes a bit longer. Do I have to manually delete old reminders? No, old reminders are automatically deleted after 24 hours. There is no need to clean up manually. Gestimer will handle it for you. Why is Gestimer not available in my language? If you would like to help make Gestimer available in your language then please drop us an email. No problem. In that case you need to contact Apple. This might be helpful. If you have any feedback or find any problems then please get in touch with us.